A great moment for national celebration was the joyous response from the Prime Minister to news of the royal engagement, announced by Clarence House on 16th November 2010. Prince William proposed to Miss Catherine Middleton while on a holiday in Kenya. 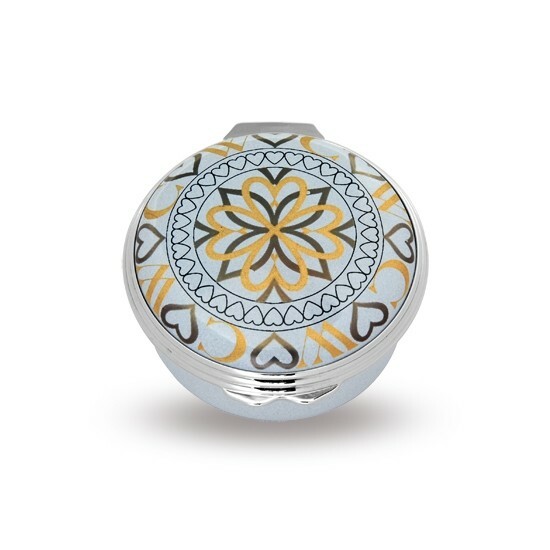 We present here two boxes to mark their engagement. 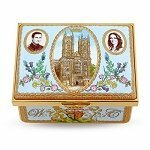 William and Catherine Engagement Halcyon Days Enamel Box. 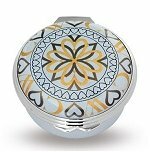 Limited Edition Box of 250. 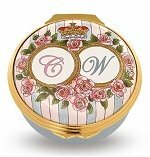 To celebrate the engagement of HRH Prince William to Miss Catherine Middleton 16th November 2010. 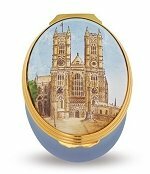 Prince William and Catherine are portrayed on either side of Westminster Abbey on this magnificent 24ct gold-embellished box. On the side panels are the Prince’s coat of arms, with the couple’s initials, and Buckingham Palace, where the Queen will give a reception following the marriage. 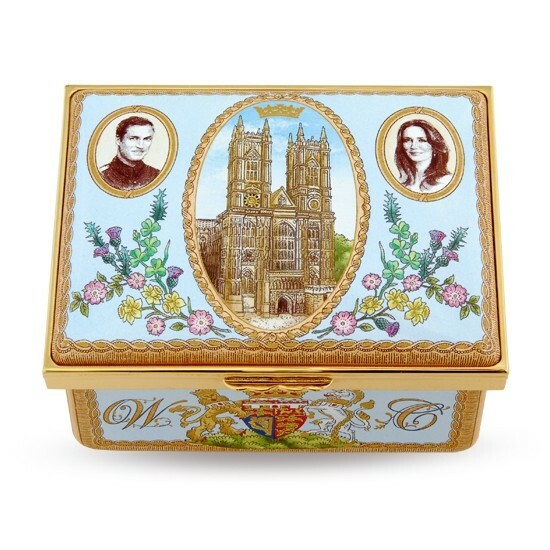 The box is further decorated with the national flowers of the United Kingdom: rose, daffodil, shamrock and thistle. 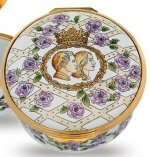 Prince William and Catherine are portrayed on an elegant navette-shaped box framed by laurel leaves and surmounted by the Prince’s coronet. 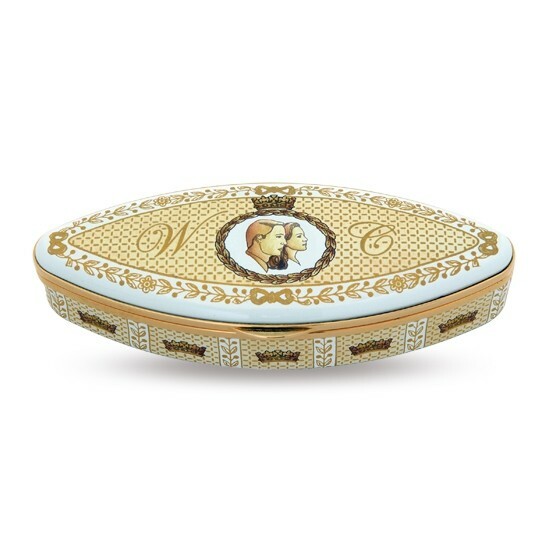 The couple’s initials are displayed within the graceful design which is richly embellished with 24ct gold. 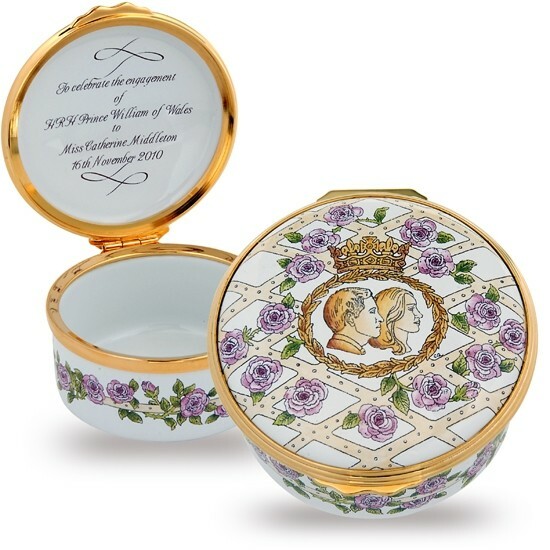 The couples initials, surmounted by the Prince’s coronet, feature in this delicate hand-painted design with roses. 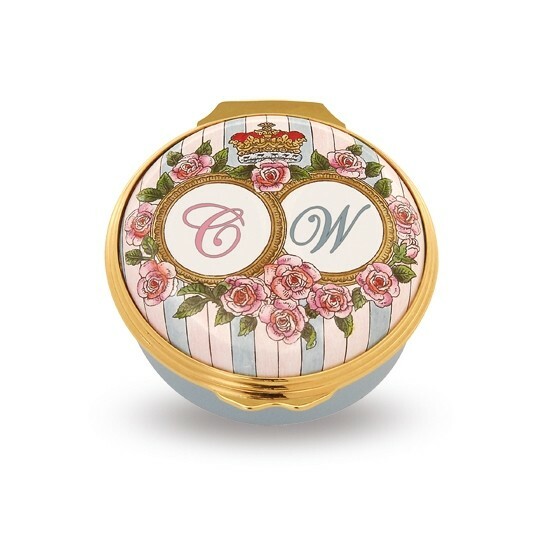 Prince William and Catherine’s initials alternating with hearts on this charming enamel memento of their wedding. 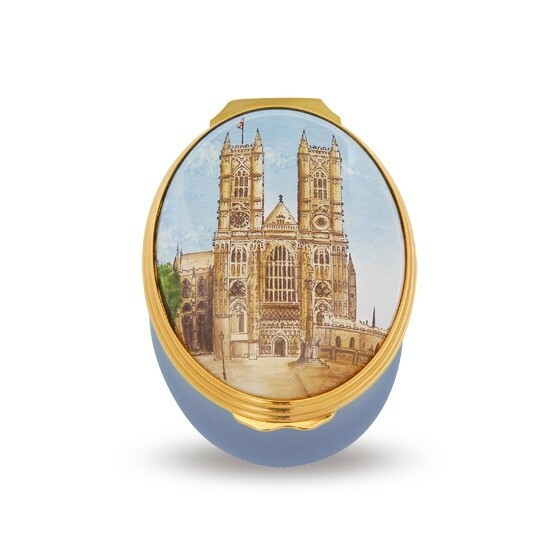 Founded in 960, the Abbey has been the centre of royal ceremonial since the coronation of William I in 1066. Prince William and Catherine Middleton will be married there on 29th April 2011.